WHICH SIDE ARE YOU ON NANCY? Why would a donkey want to act like an elephant? House Speaker Nancy Pelosi and other Democratic leaders had issued a statement earlier on Monday calling on Omar to “immediately apologize” for her comments. Jewish members of Congress had been circulating an open letter calling on Pelosi to act. Rep. Ilhan Omar of Minnesota apologized on Monday, one day after she published tweets accusing the pro-Israel group AIPAC of paying politicians to support Israel, which many fellow Democrats characterized as anti-Semitic because of its association with the trope of Jews using money to nefariously control the government. Omar is one of two members of Congress to support the boycott, divestment and sanctions movement against Israel; some Jews consider the movement inherently anti-Semitic due to its disproportionate focus on the Jewish state, while others defend it as a non-violent approach to targeting Israeli policies. For younger readers and those less familiar with U.K. political history, Enoch Powell was a Conservative Member of Parliament from the 1950s through to the early 70s who Andrew Marr explained to his viewers is “probably the most reviled British figure of the 20th century”. The former Chief Rabbi of Britain has chosen to storm into the issue that’s dominated U.K. politics over the summer (far more so than Brexit) – the accusations of antisemitism against Jeremy Corbyn. As the Jewish establishment’s war against Corbyn goes on, I’ve become more convinced by the day of the damage it’s doing to the standing of the Jewish community and our ability to challenge antisemitism and confront racism more broadly by making common cause with other minority groups. Every spin, twist and distortion applied Corbyn’s meetings, comments and speeches confuses and undermines public understanding of antisemitism. It’s coming to the point where the very word ‘antisemitism’ will lose all meaning and allegations of antisemitism will become discounted as mere political lobbying or dismissed as inconsequential. The latest example of phoney Corbyn antisemitism, and the one which prompted Sacks to make his Enoch Powell comparison, centred on the news that Corbyn had accused British Zionists of failing to understand English irony despite living in this country for many years. The mainstream media ran with the story, happy to promote the idea that Corbyn was speaking in code and actually meant all British Jews, and not some British Zionists, were not truly British. It took online commentators, such as the Jewish Studies professor Jerry Haber, to examine the proper context of what Corbyn had said, go back to the text of the speech by Manuel Hassassian, the Palestinian Authority representative to the UK, which Corbyn was referencing, and reveal the obvious and deliberate distortion that had taken place. — Did you hear that Jeremy Corbyn, in a speech in 2013, said that British Jews weren’t really British even if they were born there? — Really? He said that? — Really? He was referring to Jews? — Well, he didn’t SAY Jews, but he said that about UK Zionists, which is a leftwing code term for British Jews. — Hang on, he made a reference to UK Zionists as a group? — So, you mean to say he did not refer to British Zionists as a whole, but he was saying that the Palestinian ambassador, who is Armenian Palestinian, had a greater grasp of English irony, than these Brits who had lived in England all their lives? — Yes, that’s about it. — So, in effect, he accused pro-Israeli members of the audience, whom he referred to as “Zionists”, which they are, and who argued with the Palestinian ambassador, with being humorless and misunderstanding history, compared with the Palestinian ambassador. — Well, that makes the man clearly an anti-Semite, doesn’t it? Content to believe the national media’s shoddy journalism, Rabbi Sacks gave his interview to the New Statesman magazine saying Corbyn’s comments about British Zionists were: “the most offensive statement made by a senior British politician since Enoch Powell’s 1968 ‘Rivers of Blood’ speech”. Every time a Jewish leader (this time Rabbi Jonathan Sacks) makes a preposterous statement about Jeremy Corbyn and antisemitism, it weakens the Jewish community’s ability to make common cause with other minorities facing prejudice and discrimination in the U.K.
By comparing Jeremy Corbyn to Enoch Powell it gives the appearance that Lord Sacks has no understanding of the contrasting experience of the Jewish community here (largely privileged, empowered, economically successful) and that of the immigrant communities from the British Commonwealth – the target of Powell’s ‘Rivers of Blood’ speech 50 years ago – still experiencing institutional prejudice and economic discrimination linked to class and skin colour. Look at Grenfell. Look at the Windrush scandal. Just because the Jewish community is now a largely privileged minority does not mean it does not suffer from racial prejudice. It does. Antisemitism remains in our society. And our current position of security could easily be reversed just as it was for the privileged and successful Jews of Germany who in the 1920s thought only further progress would lay ahead. But by having nothing to say about Israel’s daily persecution and dispossession of Palestinians and by dismissing the global criticism of the new Nation State Law, Jonathan Sacks calls into question his moral authority and his right to criticise Corbyn. Antisemitism undoubtedly exists on the left in the U.K. And far more so on the right. But, as things currently stand, we are a minority that suffers little compared to the minorities around us. If I were a Muslim or from an African Caribbean heritage and knew something of what has happened to the Palestinian people, I would be thoroughly confused by the stand Sacks is taking and his deployment of Enoch Powell as a point of reference for Jewish U.K. experience. It’s just wildly inappropriate. And indeed, insensitive to the lived experience of non-white minorities in this country. The only explanation that makes any sense to me is the fact that Israel has become merged with modern Jewish identity in a way that now skews our moral compass. How to untangle this mess is the Jewish challenge of our Age, along with the need to find new ways to ensure Jewish security not dependent on the oppression of others. In the U.K. (and around the world) it would be better to use our current success and privilege to demand greater attention to the racism and discrimination other groups experience every day, whether it be job opportunities, housing, health or gaining a prominent voice in mainstream media. Our Jewish experience of institutional and cultural oppression makes us well suited to build bridges with those suffering from this today. These words inspire me to take the position I do as a U.K. Jew in solidarity with the Palestinian people and desperate for justice to come to the Holy Land – for all who call it home. I wish Rabbi Sacks would feel the same way when he reads his own writing. Within 48 hours this Facebook commentary had been shared more than 2,500 times. It’s an idea Sacks was keen to repeat to Andrew Marr this morning and it’s a conflation encouraged and reinforced by Israel’s leaders and by the Jewish communal and religious establishment around the world. As a theory it has traction because it’s a presentation of antisemitism, and indeed Jewish history and Judaism itself, that’s unchallenged by most Jews. In great part, the Jewish embrace of the conflation is an understandable response to the Holocaust. Jewish long-term global security is seen as absolutely contingent on the safety and security of the Jewish State of Israel. So to attack Israel, or question the logic or reality of Zionism in any way, is to attack and question all Jews. The constant assertion that anti-Zionism is no more than a mutation of antisemitism and Zionism has been no more than a noble endeavour with a religious and historically necessary validation, enables the shutdown of legitimate criticism. The whole debate about Israel’s behaviour becomes a discussion (or row) about antisemitism that allows no room for talking about international law, or human rights or the undeniable Palestinian experience of racism that would not have taken place without Zionism. The Israel related illustrations in the International Holocaust Remembrance Alliance definition of antisemitism are an example of the conflation/mutation argument being used as a political lobby tool rather than a code to help the understanding of antisemitism. This is the case even with the IHRA use of caveat words like “might” which attempt to recognise the need for context. The document leaves the onus on the critic of Israel and Zionism to prove they are innocent of antisemitism. Even the author of the illustrations, Kenneth Stern, has voiced his concern that the code works against freedom of speech. It’s important to recognise that the left is not entirely innocent in all of this. But the behaviour of some is clearly part of the problem caused by the conflation itself. Some left wing critics of Israel (a tiny but visible minority mostly confined to social media) feed off, or are fooled by, the conflation theory themselves. They draw on traditional antisemitic tropes (such as Jewish control of the media or international finance) to express an ignorant and deeply misguided analysis of the Middle East. It’s clumsy, stupid and racist and needs to be constantly called out and firmly corrected. It also does enormous damage to the cause of Palestinian freedom. But Jewish leaders like Sacks need to recognise that this is the ugly flip side of their insistence that all things Israel are all things Jewish. While leaders like Jonathan Sacks continue to speak as if Zionism is, was, and forever will be, an innocent and holy endeavour, we will be stuck with a devalued and discounted understanding of antisemitism. And the muddle, confusion and politicisation of antisemitism will continue to undermine our ability to challenge it or understand the suffering of the Palestinian people. While I was browsing through my big collection of articles and images about the abuses of human rights and the denigrating Israeli crimes against Palestinian civilians, I noticed this image which should go all around the world as symbol of dehumanization. When looking at this picture of 2016, taken in the illegally occupied Hebron, we have to ask ourselves what is going on in the heads of such soldiers. For me, the Nehal and Golani brigades which are known for their cruelty are the example of an inhibited desire to kill. They gloat over the misery and helplessness of their victims, the occupied Palestinians. There are hundreds of pictures like this, but in the German “leading media” they are never shown. This is obvious as our leading media have been “leading” us into a certain political direction for decades now. All these cruelties of the “most moral” of all “defence” armies of the world contribute to increasing Antisemitism. While looking at such pictures, every compassionate person asks itself how a state founded after the holocaust, constantly manipulating the holocaust, calling itself the “unique” democracy in the Middle East, and considering itself as “light of peoples”, can do such a dark occupation politics. How many innocent Palestinian women, children, and old people did die because of it? Since 2002, these tactics have been part of official military politics. There is nothing “funnier” for the occupation soldier than humiliating a helpless, frightened Palestinian. All this is only possible because German and US politics consequently stand for this “Jewish State” and support its occupation crimes with arms deliveries and speeches of solidarity. In Germany, the totalitarian nature of Zionism, based on the Judaization as reason of state, is supported by politicians of all parties. How can you defend the “right for existence” of an occupiers’ state, with an invented slogan of Hasbara ideologists, who constantly create flowery terms and metaphors for their illegal occupation crimes. The State of Israel is still without constitution and clear borders. It is continuously expanding by stealing Palestinian land. All know about these crimes against international law, and the “Jewish State” is allowed a free hand to do whatever. How can it be that there are still people supporting this occupiers’ state? So, there are only people who are philosemites or Muslim haters. At the moment, the Israel lobby and its propaganda make of anti-Semitism one of the main problems in Germany and diffuse it in the main international media. However, the sad reality is another: While the number of arsons against mosques and refugee homes is increasing, Antisemitism is retreating. Daily there are discussions about the nomination of a representative for Antisemitism on a regional and over-regional level in parliaments and the Bundestag, while the future “homeland minister of interior” Seehofer has already presented the more than dubious “master plan”, dreaming of expulsions, and offensively opposing to Muslim perpetuators and “potential attackers”. We have to ask who the real perpetuators and “potential attackers” are. How should this be decided, and who should decide? Perhaps in the near future the “steel helmet Jew” Wolffsohn, who has always been next to the CSU party, will become Bavarian minister of culture, or perhaps “IM Victoria” Anetta Kahane of the Amadeu Antonio Stiftung will search for “potential aggressors”, and H.M. Broder will play the role of the Antisemites’ inquisitor. Also, Volker Beck needs a new job, after having being refused as competent person for matters related to Antisemitism. While times are getting worse and worse for Muslims in Germany, Israel friends can be happy. The President of the Central Council of Jews in Germany fuels prejudices against Muslim immigrants by repeating all the time that these visits to the concentration camps are a must (!) because Muslims have to internalize German history and recognise the right for existence of the “Jewish State” to avoid to be deported as Antisemites. It is disgusting that Schuster and political officials support this kind of deportation as “proven mean” with deterrent effect. Of course, the “Jewish State” and its supporters do whatever to distract from the crimes in the Jewish occupiers’ state by talking about the so called “Anti-Semitism”. However, the truth cannot be hidden for ever, even if there is nothing Zionists fear more than the truth. While synagogues, Jewish institutions and officials are protected, the protection of mosques and refugee homes does not suffice. And here immediate action is required because the situation is deteriorating. We have already noticed the negative results of islamophobia and the continuous rabble-rousing against Muslims. 80 years after the so called “Kristallnacht” today, after the synagogues, mosques are burning. It might sound like a provocation: however, actual Muslims are the past Jews. Fortunately, we have not reached the situation of Nazi Germany, but there are Nazi voices and populists around using the same demagogic slogans against Muslim citizens. In the media and with our politicians of all parties constantly opposing to Turkey, Iran, and Russia we notice how quickly moods are created. One and the same media and politicians sweep the crimes committed by Saudi Arabia, Egypt, or the “Jewish State” under the philosemite carpet. After that the Social Party has just ditched the only foreign minister candidate loved by the voters (although he was closed to the Israel lobby? ), Heiko Maas will be his follower. He is the one who held a more than dubious conference with his Israeli colleague Ayaled Shaked with her internalised hatred against Palestinians she compared with snakes. His actual partner, the actress Natalia Wörner, has already played her role in diplomacy at the time when Steinmeier was foreign minister. Are these good perspectives for Palestine? However, Gabriel has left a positive heritage: the German support for the United Nations Relief and Works Agency for Palestine Refugees in the Near East (UNRWA) is guaranteed. So, Maas is confronted by the fait accompli that the Federal Government will continue the payment of 80 million of the year 2017. In the end, it is also a German obligation to offer financial support to the people displaced because of the Nakba. The UN resolution 194 has not been implemented yet, and these people are still not granted their legal right to return to their homeland Palestine. However, the director of the charity organisation Wadi is right when he says that this kind of refugee aid is co-responsible for Palestinian suffering. Instead of forcing the “Jewish State” to recognise the right for existence of Palestinian refugees and displaced people, the sad existence without rights of Palestinian refugees in the refugee camps is maintained. This way, the “Jewish State” finds an “elegant solution” to the problem and leaves the destiny of Palestinians as refugees for life to the hypocrite community of states! As long as the “most moral” of all defences armies is allowed to oppress, torture, mistreat, and murder Palestinians with impunity, and to dominate them with such a brutality, in a land where the Jewish Israeli are immoral and united in their common hatred against Palestinians and in their blind support of these murderous soldiers, peace will never come to Palestine. Extrajudicial executions, forced confessions, and blackmails are sadly part of daily life. In addition, there is the eternal blockade of the concentration camp in Gaza which will soon be an inhabitable strip of misery under perennial control, with an extremely high suicide rate. These “defence soldiers” are very good at concealing and deceiving, when it is about reversing the body of evidence which may charge the army. Palestinians are the perpetuators and terrorists when they oppose to the illegal occupation. The “most moral” of all soldiers are always cooperative victims “defending” themselves from the “terrorists”! The sympathy of the inhabitants of the “Jewish State” and its supporters is limited to their own interests. While Palestinian citizens are isolated and ghettoised in the “Jewish Apartheid State” and hold like prisoners in the occupied territories, no empathy can be developed, and this is exactly the goal of the hasbara. Without any doubts, the politics of the “Jewish State” promote Antisemitism because as long as basic rights and values are denied, and the deep contempt of Jewish citizens against Palestinians is maintained, and finds its “expression” in occupation crimes, every German citizen and in particular every German Jew should ask herself/himself how much she/he contributes to the alleged increase of Antisemitism. Jewish citizens should not be surprised if they lose sympathy because instead of dissociating from the occupation crimes, they express their solidarity with the “Jewish State” by carrying the “David Star flag” for it. As long as criticising and clearly talking about human rights violations in the “Jewish State” remain taboo, and it is forbidden to openly say that Israel should not be supported by Germany, and as long as Israel criticism, Antizionism, and BDS support are put on a level to avoid them, and as long as Jewish Israel reviewers are denied to hold a public speech in Germany, Germany will sink in a philosemite Antisemitism, led by the state. We have to diffuse pictures like the one of this article to show the world communities what really promotes international Antisemitism. We are all mighty proud of you Evelyn! Here are a few examples. In Germany, the BDS movement has Evelyn Hecht-Galinski at its service. She is the daughter of Heinz Galinski, a former president of the Central Council of Jews in Germany and chairman of the Jewish congregation of Berlin, who was one of the greatest and outspoken fighters against any form of anti-Semitism. Criticism of the ‘Jewish State’ is NOT Anti Semitism! It’s hard to understand—and even harder to accept—Jews who target their own people, but whether we like it or not, this is a reality; it’s clear, however, that these lunatics won’t succeed in harming the development and future of the Jewish state. To tell you the truth, it doesn’t bother me that Lorde isn’t coming to sing in Israel. We survived Pharaoh, we’ll overcome Lorde too.It really bothers me, however, that the young singer from New Zealand decided to boycott Israel because of incitement and alleged words of “explanation” from another young woman from the same serene, remote country—Justine Sachs, a Jew who supports a boycott of the Jewish state. That young woman, who is not very wise to say the least, isn’t the first Jew targeting her own people. There were others in the past, and there are some in the present. This self-hatred is very strange, and even insane, but it’s a phenomenon we mustn’t belittle. Galinski, who I shared a “block” with at Auschwitz and who “got stuck” in Berlin after the war for some reason, would issue a scathing response to any anti-Semitic comment in the German media—and in many cases, he even won the authorities’ support. His daughter, on the other hand, is one of the most fanatical slanderers of Israel and is among the top supporters of a boycott against the Jewish state, which her father defended with all his might. Still in Germany, we have Felicia Langer, a lawyer who defended terrorists in Israeli courts for years. One day, she decided to immigrate to Germany, where she has been incessantly inciting and slandering Israel. She is also active in the boycott movement, of course. Langer, by the way, was awarded the fifth highest of Germany’s federal order of merit’s eight ranks in 2009. In 2012, she was awarded a “medal of excellence” for her activity from the Palestinian Authority. I could go on with the list of Jews who hated Jews in different periods of time, but there’s no need. It’s a phenomenon which is hard to understand, and even harder to accept. But whether we like it or not, it exists. And occasionally, it causes us trouble. It’s clear, however, that these lunatics won’t succeed in harming the development and future of the country they are attacking—their own people’s state. Oh, yes. I almost forgot to mention that the phenomenon of a Jew attacking Jews has existed since the beginning of the Christian religion. The root of anti-Judaism was Saul of Tarsus (Paul the Apostle). The mainly youth group of “if not now” met at the 42nd St. NYC library and paraded to the hotel where the ZOA (zionist org. of America) was holding its gala dinner and had as its guests extreme rightists. As the group paraded their chanting was heard through the streets. At the hotel the chanting grew even louder as they stayed for over an hour lambasting the ZOA for inviting Anti-Semites and white supremacists. The established Jewish community is reactionary on criticism of the Jewish state. It got that job 50 years ago. It’s wearing thin, and btw, efforts to shut down a movie only help the other side. Some good news. Three women at a Unitarian church outside Boston insist on showing a movie critical of Israel, even when the Jewish community tries to censor them. This story can only embarrass the organized Jewish community in the end, on free speech grounds, and serve the cause of Palestinians human rights. The film is scheduled to be screened Sunday afternoon at the Unitarian Universalist Church of Marblehead and there’s a ton of resistance. A couple of rabbis along with people who work at a foundation dedicated to enhancing Jewish identity by creating connections to Israel have led a drive to have the screening cancelled. They got 158 signatures, mostly from the Jewish community, in opposition to the Occupation doc. The three women from the church’s social action committee who booked the film are standing tall. But the resistance to the film has demonstrated the film’s theme. You try to speak fairly about the conflict in the U.S., and people get very angry, and do what they can to shut you down. The Occupation of the American Mind, which is narrated by Roger Waters, has never been subject to such censorship forces before. That is also a good sign, probably. There has been some pushback at campus screenings, I’m told: the UCLA appearance drew hostile comments in the Daily Bruin, Breitbart and Jerusalem Post; and the Case-Western screening got letters in the paper. But the film has shown hundreds of times around the country without incident. “As Jewish people and non-Jewish people as well, we feel very strongly that it’s antisemitic and it sniffs of Nazism, which is very upsetting to Jewish people given our history,” [Lappin foundation head Robert] Lappin said. Lappin said he does not dispute that people have the right to see the film and make their own decisions about its content, but he said it should not be shown at a church. “People can see it online,” he said. Jane Casler, who serves on the [church’s Social Action] committee, said Monday the protest didn’t really surprise her. Carolyn Corzine, chairman of the Social Action Committee, said the Israeli-Palestinian conflict is an issue that has long been on her mind, which is what led her to suggest showing the film. There’s a lot of invective being thrown at the organizers. Before Israel’s separation barrier was built in 2000, Islamists set off bombs that killed Israeli civilians in pizza parlors, discos and buses. Until then, people in the disputed territories had free movement into Israel without the checkpoints that are there today. [UUCM Pastor Wendy] Von Courter said given the pressure to cancel the showing, it seemed ironic that a central message of the film is that U.S. citizens are prevented from hearing more than a single narrative about the conflict. the church’s social action committee found the film was a good fit for its continued exploration of the road to justice for all people. She said some members of the committee have firsthand experience in the Middle East and the church’s larger congregation and denomination is quite familiar with the issue. Here is the ad from the Marblehead Reporter. Here’s a headline, in the Jewish Journal echoing that ad: Area Jews ask: “Why would a church show an anti-Semitic movie?” This article is very pro-Israel. The movie makes vast assertions about the power of Israel to influence American opinion and alludes to a far-reaching conspiracy of anti-Palestinian reporting without evidence to back up that assertion. It lumps the “American media” into one bucket. Also, there is no mention of conflicting opinions about the Israeli-Palestinian conflict within Israel, within the US or within the American Jewish community. The movie’s review of the history of the conflict fails to mention that Israel was invaded by its neighbors in 1948. When discussing Gaza, the film does not mention the tunnel system that alarmed Israeli security interests. Nor does it discuss the Palestinian educational curriculum – which encourages children to hate Jews and Israelis, and does not recognize Israel in any of its textbook maps. The onslaught is a reminder that in the most liberal communities, the pro-Israel exception is alive and well. As Barney Frank, who used to represent an adjoining district, told Jeff Halper years ago, I see what the settlements are doing, but I can only come out against them if you can give me 5000 Jews in my district who will support me on the move. Otherwise it’s political suicide. Dershowitz seems to think it was OK to block Dr. Norman Finkelstein from obtaining tenure at DePaul University, but he gets upset when he himself is blocked from speaking at a University. A speech by Harvard Law School professor Alan Dershowitz at the University of California, Berkeley, may be blocked because organizers did not give campus police the required eight-week notice for the event. Dershowitz’s lecture, tentatively titled “The Liberal Case for Israel,” is planned for Oct. 10. But Rabbi Gil Yosef Leeds, director of the Chabad Jewish Student Center, which is sponsoring the lecture along with the pro-Israel student club Tikvah, said Thursday that an initially approved 500-seat classroom was pulled because of the advance notice requirement. Dershowitz, who could not be reached for comment, said on TV’s “Fox & Friends” Thursday morning that he was being deprived of his free speech rights and accused UC Berkeley of being unfair to pro-Israel speakers. UC Berkeley spokesman Dan Mogulof pointed to the school’s Major Events Hosted by Non-Departmental Users interim policy statement announced on Aug. 14, which states that a request form must be submitted to campus police “at least eight weeks prior to the event” for audiences of more than 200 people. Mogulof said the policy applies only to nondepartmental applicants. That means a speaker hosted by a UC Berkeley department would not have to follow the guidelines. Leeds said among his follow-up strategies is to seek a UC Berkeley department to sponsor the lecture. Dershowitz, an emeritus professor of law at Harvard, wrote “The Case for Israel” in 2003 and often addresses the issue on college campuses, including an event on Wednesday night at Columbia University in New York. His bid to speak at UC Berkeley is the latest in a series of recent free-speech disputes on campus. Several right-wing speakers, including Ben Shapiro, editor of DailyWire.com, have visited the campus amid high security, student protests and accusations that the campus was shutting out right-leaning speakers. Leeds is confident the Dershowitz lecture will take place. Screen capture of the neo-Nazi website Daily Stormer, showing Prime Minister Benjamin Netanyahu’s son as the site banner, September 12, 2017. The neo-Nazi Daily Stormer website, which had welcomed Yair Netanyahu as a “total bro” for posting a meme over the weekend that employed alleged anti-Semitic imagery, on Tuesday featured the prime minister’s son in a large banner across its homepage. The younger Netanyahu drew widespread criticism for the meme — which had sought to lampoon his father’s political enemies and featured references to Jewish billionaire George Soros, the Illuminati and a reptilian creature — and removed it from his Facebook page two days after posting it. He posted the graphic Friday with the caption: “Food chain,” and took the post down on Sunday more than 24 hours after it sparked an outcry from Israeli and US Jewish leaders. As of Sunday night, he had offered no apology nor expressed remorse. On Saturday, The Daily Stormer praised him for using the image. “Next he’s going [sic] call for gassings,” the website added. David Duke, the former KKK leader, tweeted “Welcome to the club, Yair — absolutely amazing, wow, just wow,” as well as sharing media reports about the meme. Political leaders in Israel also lashed Yair Netanyahu for the cartoon. The cartoon took aim at his parents’ critics, including former prime minister Ehud Barak, lawyer and Labor party activist Eldad Yaniv, and Menny Naftali, a former caretaker at the Prime Minister’s Residence, who is at the heart of allegations of wrongdoing over which Sara Netanyahu, Yair’s mother, is facing indictment. The 26-year-old Netanyahu has drawn criticism for living a life of privilege at taxpayers’ expense and for his crude social media posts. The Netanyahu family is facing a slew of corruption allegations. The prime minister has been questioned about his ties to executives in media, international business and Hollywood. His associates have been engulfed in a probe relating to a possible conflict of interest involving the $2 billion purchase of German submarines. Israel’s attorney general has said he intends to indict the prime minister’s wife, Sara, for fraud over her bloated household expenses. Yair Netanyahu, who has reportedly taken a leading role in his father’s aggressive social media platform, has also been drawn into the scandals. Australian billionaire James Packer has reportedly lavished Yair with gifts that included extended stays at luxury hotels in Tel Aviv, New York and Aspen, Colorado, as well as the use of his private jet and dozens of tickets for concerts by Packer’s former fiancee, Mariah Carey. Police are trying to determine whether these constitute bribes, since Packer is reportedly seeking Israeli residency status for tax purposes. The prime minister has repeatedly denied any wrongdoing, portraying the accusations as a witch hunt against him and his family by a hostile media. He has resisted increasingly vocal calls by opposition MKs to step down. … and a good student he proved to be! Zionism is Israel’s fundamentalist religion, and as in any religion, its denial is prohibited. In Israel, “non-Zionist” or “anti-Zionist” aren’t insults, they are social expulsion orders. There’s nothing like it in any free society. Thus Shaked believes, as do so many around the world, that Israel is built on foundations of injustice and therefore must be defended from the hostile talk of justice. How else can the repulsion to discussing rights be explained? Individual rights are important, she said, but not when they are disconnected from “the Zionist challenges.” Right again: The Zionist challenges indeed stand in contradiction to human rights. What are today’s Zionist challenges? To “Judaize” the Negev and Galilee, remove the “infiltrators,” cultivate Israel’s Jewish character and preserve its Jewish majority. The occupation, the settlements, the cult of security, the army — which is primarily an occupation army — that is Zionism circa 2017. All its components are contrary to justice. After we were told that Zionism and justice were identical twins, that no national movement is more just than Zionism, Shaked came to say: just the opposite. Zionism is not just, it contradicts justice, but we shall cleave to it and prefer it to justice, because it’s our identity, our history and our national mission. No activist for the boycott, divestment and sanctions movement would say it more sharply. But no nation has the right to spurn universal principles and invent its principles that call day night, the occupation just and discrimination equality. Zionism is Israel’s fundamentalist religion, and as in any religion, its denial is prohibited. In Israel, “non-Zionist” or “anti-Zionist” aren’t insults, they are social expulsion orders. There’s nothing like it in any free society. But now that Shaked has exposed Zionism, put her hand to the flame and admitted the truth, we can finally think about Zionism more freely. We can admit that the Jews’ right to a state contradicted the Palestinians’ right to their land, and that righteous Zionism gave birth to a terrible national wrong that has never been righted; that there are ways to resolve and atone for this contradiction, but the Zionist Israelis won’t agree to them. Now, then, is the time for a new division, braver and more honest, between those Israelis who agree with Shaked’s statement and those disagree. Between supporters of Zionism and supporters of justice. Between Zionists and the just. Shaked did not provide for a third option. Freedom of speech and academic freedom are much cherished freedoms and must also be applicable to critics of politicians of the “Jewish State.” However, the relentless pro-Israel lobby thwarts this important right in Germany and in the world by using infamous and groundless accusations of anti-Semitism. We cannot and must not permit it! How Zionist Anti-Semitism threatens Freedom of Opinion in Germany! There is a Jewish Community led by its president Leo Latasch, full of satisfaction after the cancellation of the rooms, hoping that the conference will not find new rooms because he fears the activities of the conference members. Where does this person live? In the “Jewish State” where Knesset members hit each other sometimes? About what should Pappe, Zuckermann, or Paech hit each other? About their anger to collectively oppose to the illegal Zionist occupation of Palestine? And when the mayor Becker from his office tells everyone and their dog: “Who wants to create the scene in Frankfort, is not welcome to our city,” I realize that there is anti-Semitism again in Frankfort, and that this anti-Semitism is directed against Jews who engage for the end of the decades-long illegal occupation of Palestine. This is a shame for the alleged open-minded Frankfort! In particular the leading media are obliged to uncover the lies, instead of supporting and covering them up. All this already happened in the past: media, artists, and intellectuals remained unjustly silent and cringed away, when it was about persecuted Jews. However, this should not be a reason to close our eyes again when Jewish perpetrators in the “Jewish State” have been ethnically cleansing, illegally occupying, and judaizing Palestine for more than half a century now under our eyes without being held accountable for it! These endless attacks of the Israel lobby against the freedom of expression is a hit against democracy, and cannot be accepted! What does this “leading culture” of “Christian-Jewish” values connect? Common enemy images to hide their own crimes. The new common enemy image and object of hatred: Islam and Muslims! Palestinians and Muslims are collectively labelled as terrorists, and categorised as suspects and “dangererous.” Can this marginalization be sustained in the long term? Surely not, as it produces justified anger and hatred. This atmosphere causes senseless prejudices against Muslims and also makes life difficult for well-intentioned people to feel well in Germany. A good integration can only be achieved, if we do not only pretend from Muslims, what we would never pretend from other religious communities like Jews. While the Central Council of Jews, the Jewish Communities in Germany, and many international organizations, in particular in Berlin, have never distanced themselves from the “Jewish State” and its crimes against international law and human rights and from the illegal occupation of Palestine, they absurdly hold Muslim and Islamic organizations and communities collectively liable for crimes they are not liable for and with which, in opposition to Jewish representatives, have never expressed their solidarity because they refuse them. On the other hand, Jewish Israel critics and occupation opponents are medially silenced with the support of official German politics and are denied freedom of speech. In this point, Germany 2017 is very similar to Nazi Germany. Is this what we learnt from German history; that we have to marginalize and silence alleged “bad” Jews with the help of “good” Jews? Germany has slid from anti-Semitism into a fatal philo-Semitism, and we have to oppose all together this dangerous situation. We are not willing to accept the threat of freedom of speech by Zionist anti-Semitism. "Everyone has a right to #RestInPeace." Who’s to blame for rising anti-Semitism in America? Nazis? White nationalists? No, says the former mayor of a settlement in the West Bank — it’s leftists and Muslims. “We need to be talking about the Islamo-Nazis and the far left Nazis,” said David Rubin, onetime mayor of the Shiloh settlement north of Jerusalem. He spoke Tuesday on Fox News with host Stuart Varney. They discussed a recent spate of bomb threats to Jewish Community Centers and the vandalizing of an historic Jewish cemetery in St. Louis. Police are investigating the cemetery defacement as a possible hate crime. No suspects have been announced. THE PSEUDO-ZIONISTS AND THEIR DIRTY WAR AGAINST TRUTH! Who are the real anti-Semites and what do philo-Semites and anti-Semites have in common? Is it not anti-Semitism when Jewish organisation consultants and Sayanim, their covert political and media helpers, subject them to enforced censorship? Which raises the question of whether the Central Council of Jews in Germany is being anti-Semitic and racist when it does everything to prohibit all kinds of projects, conferences, and events including those with Jewish speakers or to deny them public financial support? All of which culminates in censorship and event cancellations which result in the general public being denied the right to have an informed opinion. So by exploiting false and unjustified accusations of anti-Semitism — which are particularly sensitive in Germany — against upright people who refuse to be cowed, pseudo-Zionists nonetheless manage to get favourable media coverage while the critics of Israeli policies are pilloried and denied their democratic right for freedom of speech. It is patently evident that the pro-Israel lobbies try to prohibit any conferences or events that engage in factual documentation of what Israel is really doing in the occupied Palestinian territories. Even in Germany, discourse within the media and politics has been restricted to an unimaginable level. My old friend Walter Herrmann, who has since unfortunately passed away, and his unforgettable and groundbreaking Kölner Klagemauer (Cologne Wailing Wall) always felt the effect of this. While constantly criticising the injustice and criminality of the “Jewish State”, he was inundated with lawsuits and slanders. Even after his death, his legacy was still portrayed in a negative and hateful light by different lobbyists and Israel understanders such as the olive-green politician Volker Beck. While the photos of murdered children of the “Genocide in Gaza” which he displayed on the “Wailing Wall in Cologne” elicited outrage and demands that they should not be shown, politically driven prime time media broadcasts, showed photos of mutilated and starving children from Syria or Africa, thereby in effect censoring and selecting the news and images that are put before us! In fact, for dictatorships and “ethnocentric systems” it is particularly important to hide their crimes with linguistic distortions and inventions of words. In the meantime this variant about how to make politics by language is sold to the citizens so that by complicated linguistic creations almost nobody understands the real facts of the case. While politics in Germany become more and more “remote from citizens,” people are surprised if parties like the right-wing AfD attract certain voters and sympathisers with their “simple” words like rat catchers. While “ethnic pipe dreamers and race theorist” such as Thilo Sarrazin are positively reviewed in German over-regional media and can stay in the German Socialist Party without any consequences, critics of Israel are subject to completely different treatment. The powerful Israel lobby has ensured that they can neither talk in parties nor in feuillotons or talk shows. And while the self-appointed critics of Islam have enjoyed prosperity and become favoured amongst the “media Gods,” critics of the “Jewish State” have become outcasts whose voices are to be avoided. While the secret war against the BDS movement and its activists was started on a global scale that was financed by U.S. $45 million from the Israeli Ministry for Foreign Affairs, critics of Israel encountered the implications directly (2). In Germany, the government and its close media representatives do their best to make political concepts more and more incomprehensible. Did we not have a similar propaganda ministry in the past working almost in the same way? Already at that time there was fertile ground for many propaganda concepts. What is alarming in this context, is the constant level loss, beginning with the widely read newspaper Bildto which even governing politicians make reference to explain their political orientation. In fact, we are concerned with a dangerous political education programme. This is the shape of national dulling in Germany! Of course, in this context we have avoided mentioning that the newspaper Bild is in the frontline of this linguistic war for the “Jewish State” and extends the “long arm of Netanyahu” to Germany through the media. So it is not surprising that the newspaper Bild pulls out of its hat a Jewish journalist by letting him compare Aleppo with the Holocaust … this relativization is left to certain Jews. And what happens in Syria, is a war that was planned long ago with the aim of a “regime change,” an intriguing and proven method employed by USA and its henchmen. While jihadists are armed and supported by the Western Alliance, Russia comes to help Assad. And the well-known patterns are repeated: Russia is the mass murderer, while the upright USA just wants the best for the people (this is exactly what we can observe in Afghanistan, Iraq, Libya). In view of the fact that Israel supports the Nusra front, we should ask: Who benefits from this? The answer is of course the “Jewish State,” because a weakened Assad Regime helps to maintain the annexation of the Golan Heights with shameless violations of international law and crimes against humanity. As soon as the hate campaigns of Springer and Bild started, the Sayanim occupied themselves by completely supporting this struggle. In Germany it is a shame that political parties and political leaders are more concerned with the dubious, inexistent “right of existence” of the “Jewish State” than with freedom of expression. So who are the real Anti-Semites? The real anti-Semites are the political representatives who want to prevent Jewish citizens in Germany from speaking out or expressing their opinions. In this context it is interesting that in particular again and again German citizens whose parents or grandparents were deeply involved in the Nazi crimes persist in this deviation. Because of guilty feelings and their compensation, a philo-semitic exaggerated love towards Jews has become a very particular, second anti-Semitism. If we do not stop this trend, I am very pessimistic about the freedom of speech in Germany. All that is not suitable is hushed up. The fatal reality is that the German media has increasingly become an instrument of the U.S. whose continuous propaganda constitutes brainwashing. And it is a fact that by constant repetition the person gets more and more indifferent and memorises what should be questioned. However, in the constant rabble-rousing against Russia, there is a glimmer of hope on the horizon because the Germans – unlike most politicians and media pundits – are not stupid and want good relations with their Russian neighbours. Even more shocking is the behaviour of the Green and Conservative Parties with the infamous Marieluise Beck and Göring-Eckart constantly promoting the right-wing trend of the Green Party. While they kowtow to the “Jewish State” and U.S. war crimes, they oppose Putin, Erdogan and Assad. In future, these awful hawkish policies must defeated at the ballot box! Big Brother has finally made it big time …. on the WEB! As in most cases, if real anti-Semitism is not located, it will merely be created. (literally) A human or person. A person with integrity and concern for others. Etymology: Yiddish (mentsh), an honorable person, from German Mensch (person). When a bunch of neo-Nazis and antisemites threatened to march in Golders Green a few months ago, a wide campaign was organised to stop them with a counter-demonstration. Only one of the current candidates for the Labour Party leadership sent a message of support to the counter-demonstrators. Yet this same Jeremy Corbyn has been the target of an ugly smear campaign attempting to brand him an enemy of Jewish people, by means of contrived “association” with antisemites. As Corbyn moved from outsider to a favourite to win, addressing huge rallies of supporters, one Jewish newspaper even claimed Jews in Britain “feared” what might happen if he became leader of the Labour Party. “Jews for Jeremy” was launched as a Facebook group by Ian Saville, primarily in response to the smear campaign, in order to counter the lies, spread awareness, and provide a rallying point for Jewish people who refuse to be regimented by such artificial “fear”. A group of several hundred members of the British Jewish community has launched Jews for Jeremy, a group to support Jeremy Corbyn’s campaign for leadership of the Labour Party. Some members of the group live in Jeremy Corbyn’s constituency, some have worked with him on various campaigns, and many know him from his reputation and his tireless work for the disadvantaged in society, including migrants and asylum seekers, over the past 32 years. They are convinced that his policies are the right ones for the Labour Party to pursue both domestically and internationally at this time. The Conservative government is implementing harsh austerity measures that are harming the British economy and the lives of British people. Members of Jews for Jeremy believe that Jeremy Corbyn’s policies would be more likely to bring both fairness and prosperity. Jeremy Corbyn’s economic plans have been endorsed by more than forty leading economists in a letter to the Observer this week, and members of the group believe they are sound, fair and realistic. They believe, as do many economists and commentators, that they will resonate with the British people, and that they will be popular with the electorate. They are impressed by Jeremy Corbyn’s pledge to bring more democracy to the Labour Party, and to seek to bring in candidates for office from a wider range of backgrounds. They note that Jeremy Corbyn was the only leadership candidate to respond in full to questions from the environmental charity Friends of the Earth, with an environmental policy which is progressive and responsible. 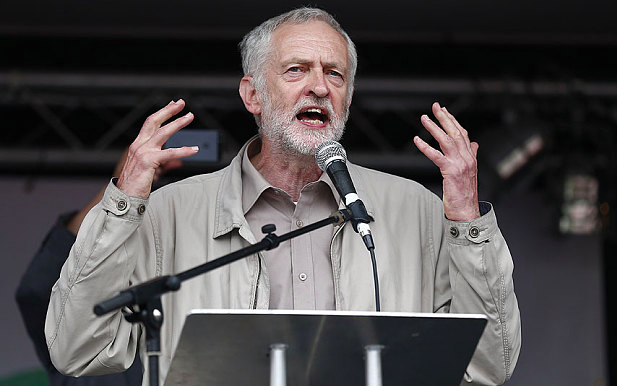 In international relations, the group asserts that Jeremy Corbyn’s policies offer the best hope for peaceful resolution of conflicts both in the Middle East and the rest of the world. Members applaud his efforts to bring together opposing parties to many conflicts in dialogue in a constructive way, and are dismayed that in some cases this has been held against him. The group notes that even Tony Blair and the Israeli government have very recently engaged in such dialogue, and it is unfortunate that it was not begun much earlier. Crucially, as Jews, members of the group are alarmed that some unscrupulous sections of the media have sought to label Jeremy Corbyn as an antisemite, or a knowing associate and supporter of antisemites. Those who know Jeremy Corbyn and have worked with him believe that this is an absurd charge. Jeremy Corbyn has a long history of principled anti-racism, and has a close and amiable relationship with the Jewish community in his constituency. He has long had friendly contact with Jewish organisations throughout the UK and abroad. Members of Jews for Jeremy believe that these accusations are a cynical attempt to damage Jeremy Corbyn’s campaign, and do not think they amount to legitimate political criticism or debate. The group appeals both to Jews who are Labour members or supporters and to those who support Jeremy Corbyn from outside Labour to join with them. For those who quite legitimately support other candidates, or are critical of left politics in general, members of the group are happy to debate or argue in a respectful and friendly manner, but hope to dispense with the smears which have characterised some of the debate so far. If THEY hate him, then YOU gotta love him! ‘Vanity Fair’ says it may be time for French Jews to leave Paris because of a supposed attack on a synagogue a year ago. 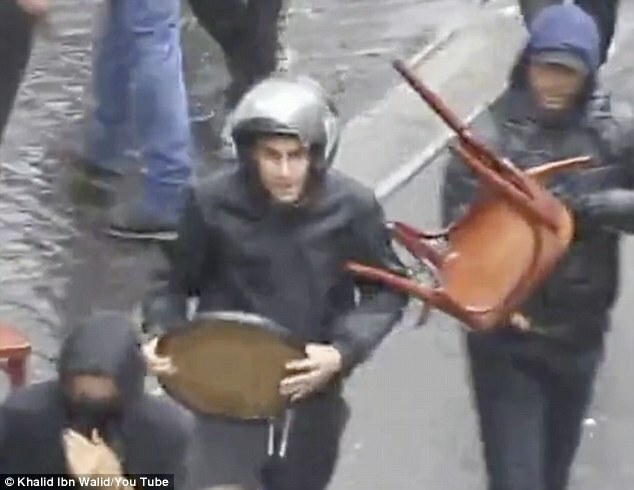 The event in fact involved a “rampage” by the Jewish Defense League in response to pro-Palestinian demonstrators during the attack on Gaza. Here is the Jewish Defense League waiting for the police to arrive and chanting racist slogans.